Home sales were down slightly in February, but the total value of homes sold increased? How is that possible? 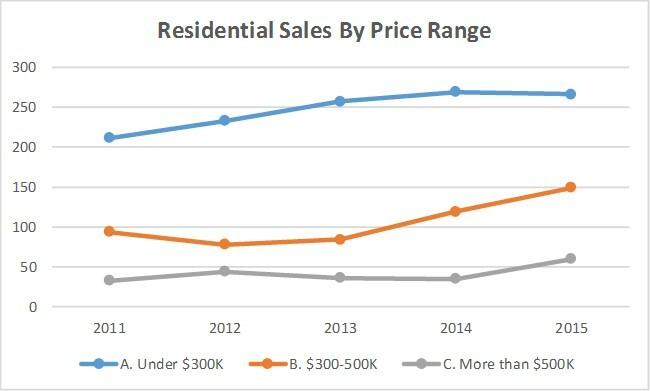 This is a reflection of a long term trend in the market, where the mix of homes sold in Prince Edward County has been changing over the last five years, with a shift toward higher value homes. The number of homes sold for under $300,000 (blue) has flattened in recent years, while home sales in the mid and upper price ranges have grown.